He was born in 1987 like this.. SO i bought it black, in poor condo not even running and transform it into Monster Scrambler, first real custom KLR that i have seen. 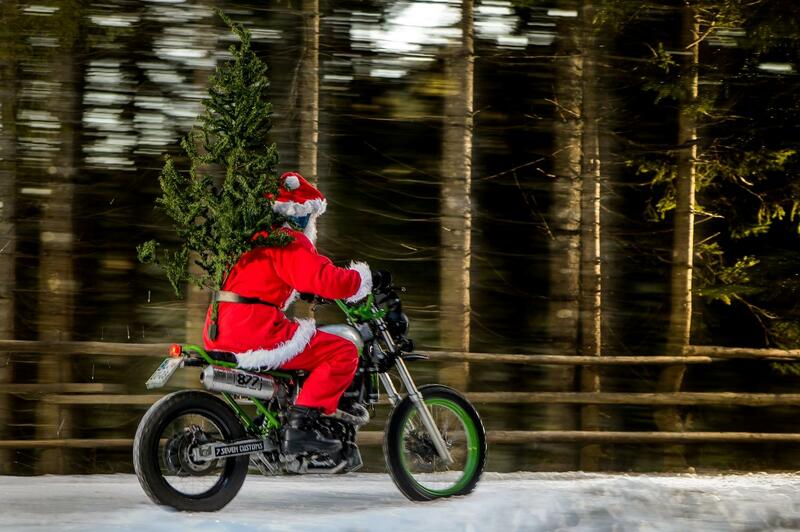 even santa had a blast on it! And now it’s gone, yesterday was stolen in Ljubljana in Murgle center (TPC Murgle) if anyone have any infos pls contac 040470380 or Police on 113!